Millennials could be playing a bigger role in keeping physical retail alive than one might think. 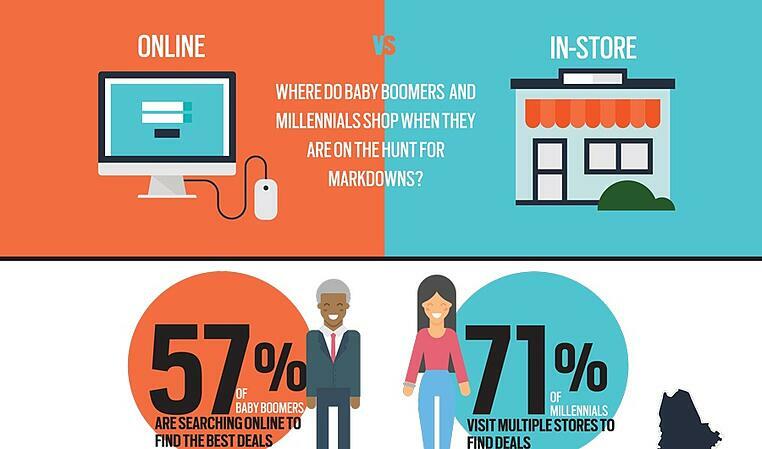 And though it may seem counterintuitive, baby boomers are more and more loving looking for deals online. Seventy-one percent of millennials are visiting multiple stores in search of bargains, compared with 57 percent of baby boomers, according to First Insight, a technology company that helps retailers select the optimal price for their products. "The retail industry has been operating on the outdated assumption that boomers are shopping for deals primarily in-store and millennials are searching for deals mostly online," said Greg Petro, CEO of First Insight.